Cher (born as Cherilyn Sarkisian on May 20, 1946 in El Centro, California) is a pop singer and actress known for her distinctive contralto voice. Over five decades in the music industry, she has gained the nickname the Goddess of Pop. Cher first became popular in the 1960s as part of the folky husband-wife duo Sonny & Cher with Sonny Bono. In 1966, Cher released a solo album, while still working with Bono. It contained her first million-selling song, “Bang Bang (My Baby Shot Me Down).” She and Bono divorced in 1975. 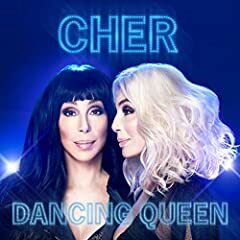 A few years later, Cher began releasing disco songs. She continues to be a top-selling pop performer.